Blackkadders scored a double awards whammy after picking up two top titles at the Scottish Legal Awards. 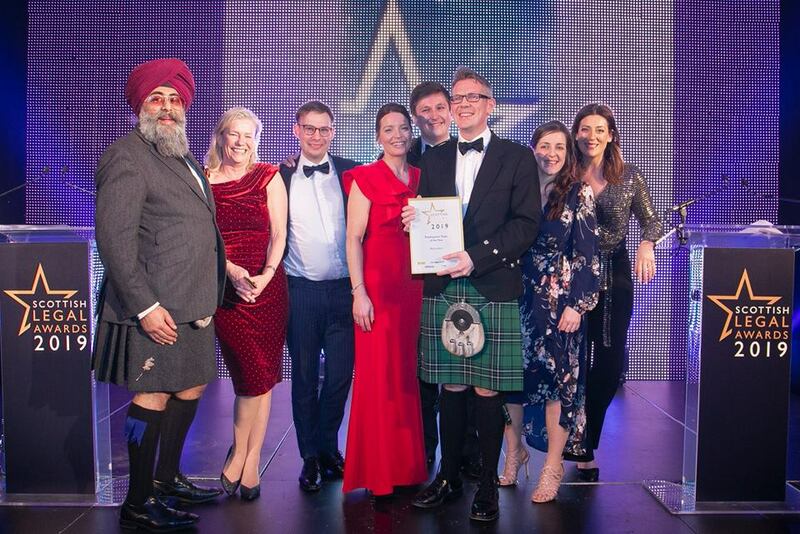 Johnston Clark was honoured with the Managing Partner of the Year accolade while the firm also picked up the Employment Team of the Year award. Mr Clark said: “It has been a very successful night for Blackadders. Our employment team’s win is most deserving and testimony to all their hard work and track record in delivering for our clients. Congratulations also to our commercial team and their achievements which led to them being finalists at the awards. Mr Clark joined Blackadders more than 30 years ago in 1984 as a trainee before quickly going on to become a partner then lead the firm from 2000. This resulted in the Dundee-established business expanding across Scotland through organic growth and a successful strategy of mergers and acquisitions. Taken from Scottish Legal News. View full list of winners.